We love any opportunity to see our matting in action, and that’s exactly what we got earlier this month when we visited Innsbrook Resort Golf Course in Innsbrook, Missouri. 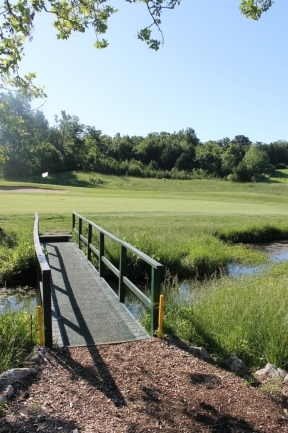 This 18-hole public course boasts some gorgeous views and stunning lakes. It’s a popular destination for tourists and locals alike. 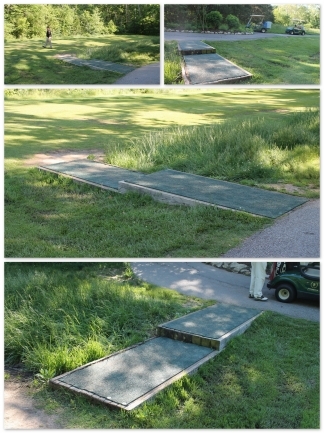 Innsbrook has been a PEM customer for some time now, having used our matting on bridges and cart paths throughout their course. They most recently placed an order for our NEW High Friction Matting, which was unveiled at the 2012 Golf Industry Show in Las Vegas. This tiered pathway leads to one of the course’s more challenging holes. The wooden railroad ties were often slippery, especially in the mornings when shaded and damp with morning dew. PEM High Friction Matting was installed on the wooden ties to provide a safe surface for the occasional disgruntled golfer storming off the tee. 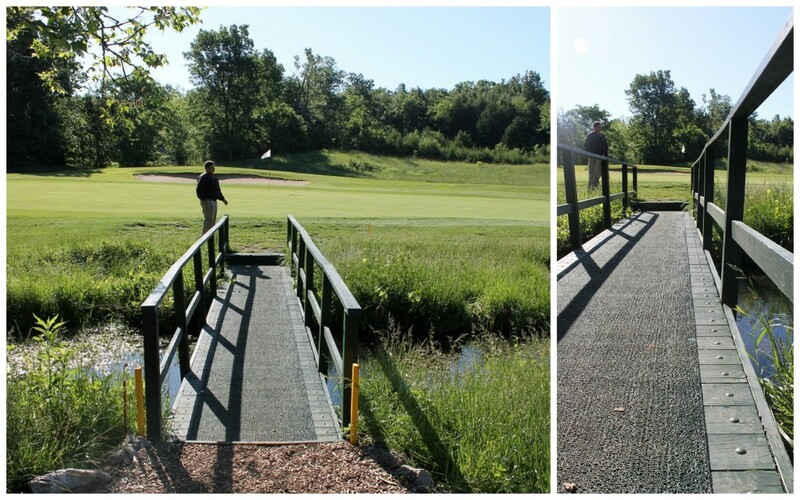 Innsbrook also installed PEM High Friction Matting on a highly-traveled footbridge crossing over to a green. Golfers found the bridge to be especially slippery when wet. The matting was easily installed using a combination of adhesive and screws. The matting has received great reviews from both the golfers and the Innsbrook Resort Golf Course management team. We look forward to additional feedback throughout the season! Want to learn more about PEM High Friction Matting? Contact us today!